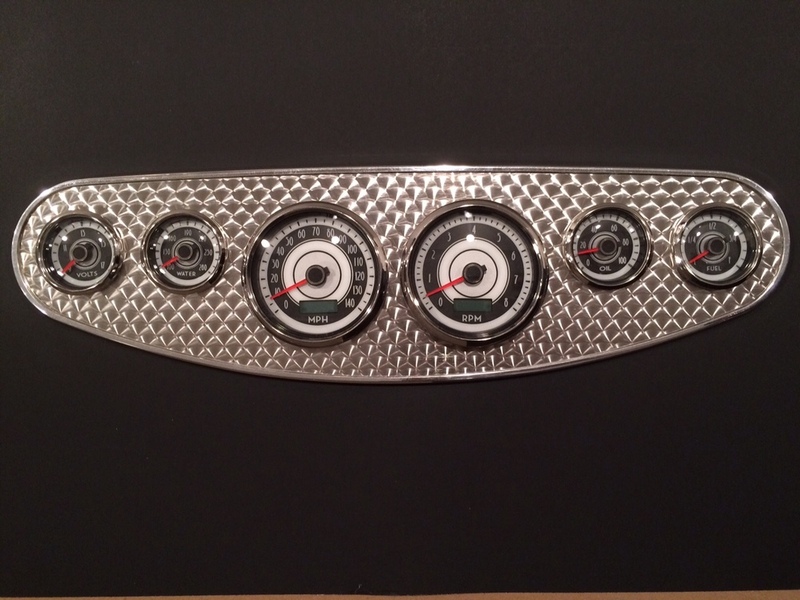 The Haneline Products 1956 Ford Truck kit starts with a cast aluminum Backer (painted black in the pictures). Since this piece is cast we recommend painting and finishing it before final assembly as it is not suitable for polishing. 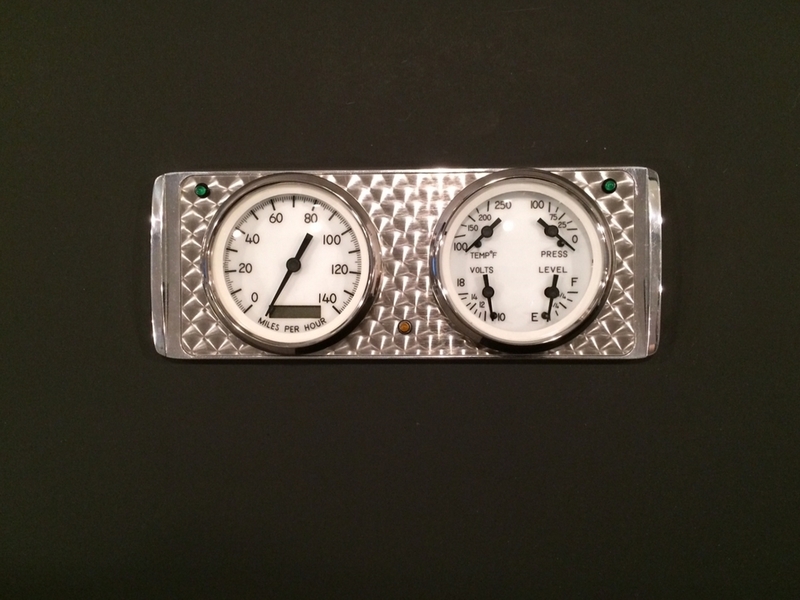 We then engine turn a polished stainless-steel overlay for the piece and include LEDs for directional and high-beam indicators. The dash insert installs using your factory ford fasteners in the factory dash holes. 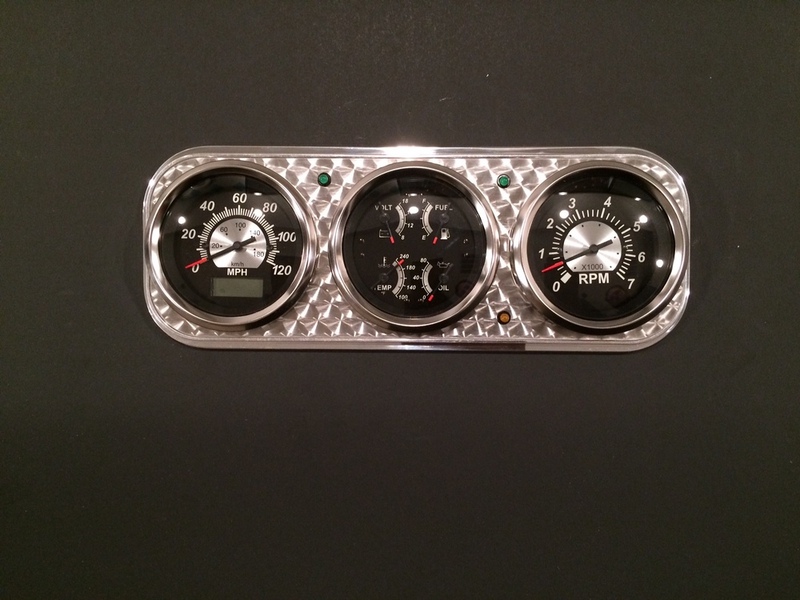 We have paired this Dash in a discounted package with the AutoMeter Prestige Series Instruments. These Instruments come in your color choice of Black Diamond, Prestige Pearl or Antique Ivory (not pictured) and feature some of the most popular styling that AutoMeter has to offer. Classic American good Looks along with AutoMeter’s race proven air core gauges, state of the art LED back-lighting, lit traditionally designed pointers, stepped stainless-steel bezels and easy to calibrate electric programmable speedometers with rolling odometers form a great traditional look.